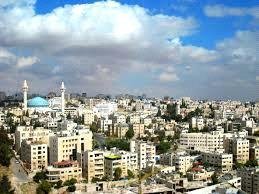 AMMONNEWS -By Abdulillah - My lord has the cacophony of whining grown in Amman. First we have the restaurants and shop owners across from the Abdali off of Suleiman Nabulsi Street crying foul because the greater Amman Municipality (GAM) decision to ban the parking of cars outside shop locations from the previously 30 minutes allotted. And now we have the motorists crying foul because they are getting lots of parking fines. REALLY? Yes it is real; its seems that the nearby shop owners cried so hard lately that GAM decided to revoke their decision to ban cars and go back to the 30 minute parking permitted. GAM did this unwisely in this writer’s opinion. Its seems that the shop owners now own the public roadways in front of their businesses or feel that they ought to be able to cry so loud that they can cow our municipality to back down. This is clearly a mistake, but one that started earlier way before this ban. The mistake was originally allowing any business to pull a permit to open a business without sufficient parking either in the rear of their businesses or underneath them in parking garages or in nearby lots. This is both a code requirement in any modern society and city planning, as well as in building design. Street parking is PUBLIC DOMAIN and is regulated by the PUBLIC and its jurisdictional enforcement. If allowed; public parking can be metered, can be revoked, and or regulated to certain hours, typically not during rush hours or during peak hours of public use. Listen; I am not cold hearted to the pain that these business may have had to endure because of this ban, however to suggest that the PUBLIC should shoulder the blame or responsibility to provide parking or free parking lots for their patrons is not only absurd but tantamount to a FREEbenefit entitlement, which is unfair to the majority of the public tax payers. If GAM, after consulting with the public tax payers wants to provide street parking, its needs to both restrict the use during nonpeak hours as well as charge some metering fees for this privilege and for allotted times. That’s is to say no more than 15 minutes or 30 minutes for each ¼ dinar spent on parking time. The area also needs to be patrolled regularly by traffic police to maintain enforcement and police law breakers and non-payers, as well as to maintain uninterrupted traffic flow. As for those crying foul about getting parking tickets for double parking or parking illegally, all I have to say is go cry to the moon. First learn to park legally, and secondly stop whining already. If you were in any other country or western capital you would have not only been ticketed but towed, and had to pay the fine plus the tow charge. As far as I am concerned you got away lightly. My brothers and sisters, it’s time we started acting like adults here and not privileged brats, who believe the government and the public are responsible for everything under the sun. Don’t expect that we are going to allow you to flaunt our laws or our countries welfare meant for the poor and the really needy. Get with the program, clean your streets, park legally and learn to be a lawful citizen not blaming everything on the government. Government is only as good as its citizens. God Bless Jordan and its People.